Safari Unlimited and Eldoret Safaris invites you to the wilds of NE Namibia. Nestled near the Caprivi Strip, Eldoret Safaris’ vast properties border the unfenced Bushman tribal lands that contain several different ecosystems. This is a classic African “on foot” plains game safari behind bushmen trackers. Well known as some of the finest in the world, they will not disappoint. Each morning starts with the search for fresh tracks or following up on the tracks from the last evening. 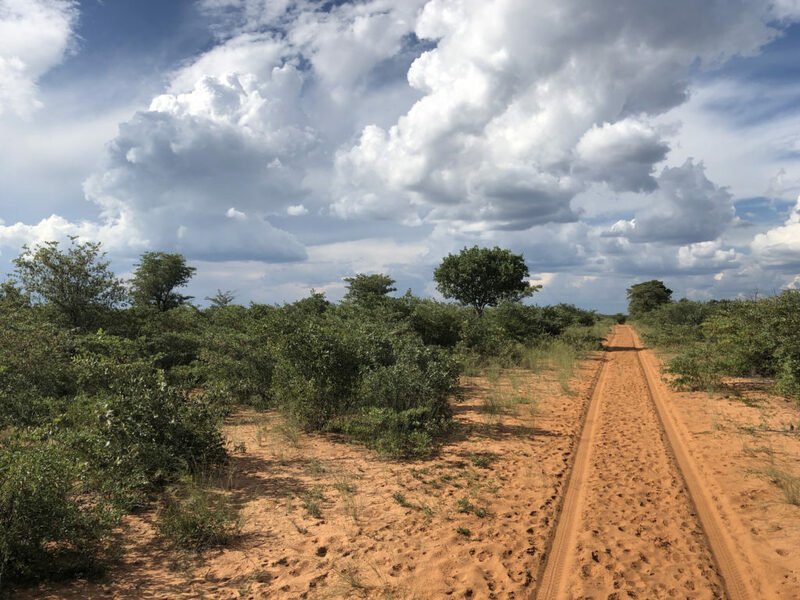 Most days will result in slow tracking 6-12 miles, but nothing quite matches the excitement of tracking a free ranging Eland, Kudu or Big Bull Giraffe. Every evening, fresh game tenderloin along with local favorites and a cold Windhoek lager await your return. After a successful hunt in the bushmen lands, you will travel less than two hours to spend the next few nights on the banks of the Okavango river. You’ll be comfortable in our well- appointed bungalows with open air Brie’s during your river adventure. You’ll spend two days fishing for the mighty tiger fish along with many other unusual river fish. Making up the border of southern Angola and North East Namibia Hippos, crocs and massive amounts of bird life call this river home. This adventure is a rare treat of unspoiled Africa in one of the safest countries on the continent. 5 hunting days: Includes trophy fees for 1 Bull Giraffe and 1 trophy animal of choice (kudu, gemsbuck, eland, blue wildebeest, red hartebeest, giraffe) can add additional animals.